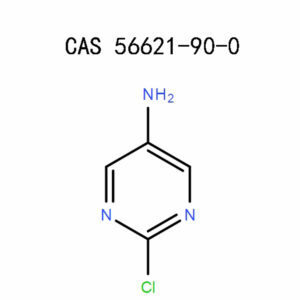 We produce large quantities of 5-Bromo-2-(trifluoromethyl)pyrimidine (799557-86-1) on APICMO contract. 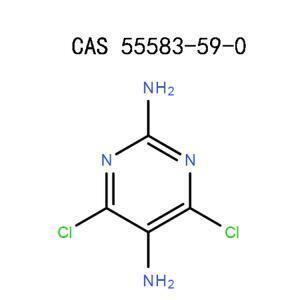 Just like the rest of our products, we ensure to follow the current Good Manufacturing Practices or the cGMP quality controlprinciples.5-Bromo-2-(trifluoromethyl)pyrimidine is strictly for research, chemical synthesis, and development. The analytical characterization of the structural properties of5-Bromo-2-(trifluoromethyl)pyridine is done using Fourier Transform Infrared (FT-IR) and the Nuclear Magnetic Resonance (NMR) spectroscopies. Thenceforth, we employed the Density Functional Theory (DFT) to establish the optimized electronic structure of 5-Bromo-2-(trifluoromethyl)pyridine using CAM-B3LYP, B3PW91, and B3LYPfunctional methods.In calculating the chemical shift values and thefrequencies of vibration, we again used the three Density Functional methods in combination with the 6-31 ++G(d, p) basis set. We determined the non-linear optical (NLO) properties of5-Bromo-2-(trifluoromethyl)pyridine with similar techniques. The HUMO-LUMO molecular energy levels and their interactions were elucidated by time-dependent DFT method and the Integral Equation Formalism-Polarized Continuum Model, abbreviated as IEF-PCM.We derived the second-order reaction of the molecular interactions from the NBO (Natural Bond orbital) analysis. Finally, we use the agarose gel electrophoresis technique to monitor what effects the molecule has on pBR322 plasmid DNA. To test for the antimicrobial activities, you need to use the Minimal Inhibitory Concentration Method. It is pharmaceutical intermediate used in research, development, and elucidating the mechanism of certain cancers. 5-Bromo-2-(trifluoromethyl)pyrimidine (799557-86-1) is a white crystalline powder. 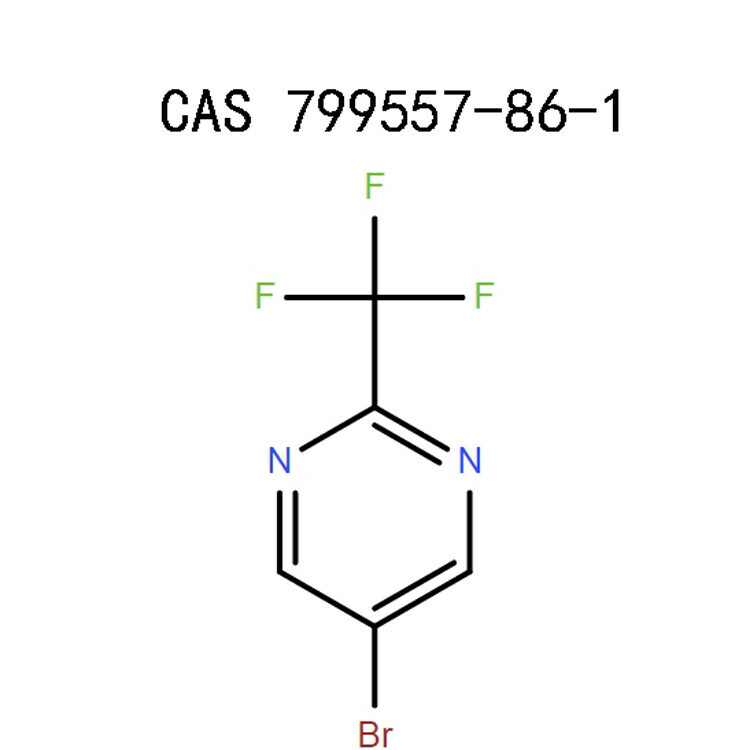 5-Bromo-2-(trifluoromethyl)pyrimidine (799557-86-1) is an irritant. When it makes contact with the eye, skin, or the respiratory system, it is harmful and maylead to inflammation and subsequent symptoms. When first aid measures are administered on time, there will be little to no damage. Handle 5-Bromo-2-(trifluoromethyl)pyrimidine (799557-86-1) only if you have maximum experience working with hazardous chemicals. Refer to the safety data sheet and the chemical labels before experimenting. Otherwise, work under strict supervision of qualified personnel. For your face, puton safety eyeglasses,a full-face mask, and a respirator having enough air filters. Respirators prevent users from breathing in potential irritants likefumes, dust, or vapors. Cover the hands with chemical-resistant gloves. For the rest of the body, wear a full suit and rubber boots. Pre-install several types of safety equipment in the laboratory, which may not only restrain direct contact with5-Bromo-2-(trifluoromethyl)pyrimidine but also speed up the first aid procedures. Some of these vital tools include aneye bath, safety showers, air-purifying devices, exhaust ventilation, extinguishing media, and a fume hood. Store 5-Bromo-2-(trifluoromethyl)pyrimidine at room temperatures with standard conditions. Do not transfer from the original packaging. Lock it securely in an airtight vessel and place in a dry, cool, and ventilated chamber. Adhere to hygienic measures such as washing hands and laundering contaminated clothes. Clear the working bench by collecting and discarding chemical wastes.The unused products should be returned to the respective packaging. If contaminated, dispose of like any other waste.Lastly, wash and ventilate the bench. Move the person to a place with maximum aeration. If still conscious without registering anynoticeable respiratory irritations, allow the victim to rest in a comfortable breathing position. Unconsciousness with signs of wheezing, abnormal gasping,and therelated symptoms will require you toboost the system with artificial respiration.In severe conditions, you can give oxygen support before seeking emergency help from a doctor. Unless the clothes are stuck on the skin, take them off before bathing the affected area with large amounts of running water and non-abrasive soap. Do this for at least 15 minutes while checking on possible irritations, inflammation, redness, soreness, or any other allergic reactions.Cover the place with an emollient. If in the eyes, thoroughly but cautiously wash the eyes while giving maximum attention to the eyelids. Keep the eyes open as you continue rinsing for the next 10 to 15 minutes. Take care not to induce vomiting when 5-Bromo-2-(trifluoromethyl)pyrimidine (799557-86-1) is accidentally or deliberately swallowed. Also, do not attempt to administer oral treatments to an unconscious victim. Cleanse the mouth and drink not less than 2 cups of water or milk. If symptoms are uncontrollable, visit a poison center or consult a doctor with a copy of this SDS (Safety Data Sheet). Put on the approved self-containing breathing gears and extinguish the flames with dry powder, polymer foam, or CO2.Take full precautions since 5-Bromo-2-(trifluoromethyl)pyrimidine emits toxic combustion fumes when ignited. 5-Bromo-2-(trifluoromethyl)pyrimidine is a stable compound unless exposed to moisture, heat, sparks, or flames. Keep it away from oxidants and strong acids or bases. Under these conditions, the product decomposes into hazardous substances, which are nitrogen oxides, hydrogen bromide, hydrogen fluoride, and oxides of carbon. Wipe out the spills and collect in a tightly sealed salvage vessel ready for disposal.Depending on the physical form of the spillage, sweep up without triggering the formation of dust or mix with an inert absorbent and pick up the substance. 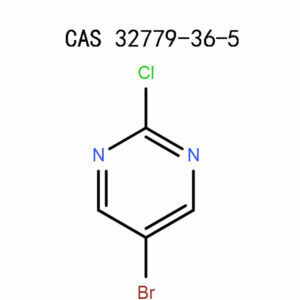 5-Bromo-2-(trifluoromethyl)pyrimidine should not enter the water drains or channels. One necessary environmental precaution is that the product should not be released to the environment. 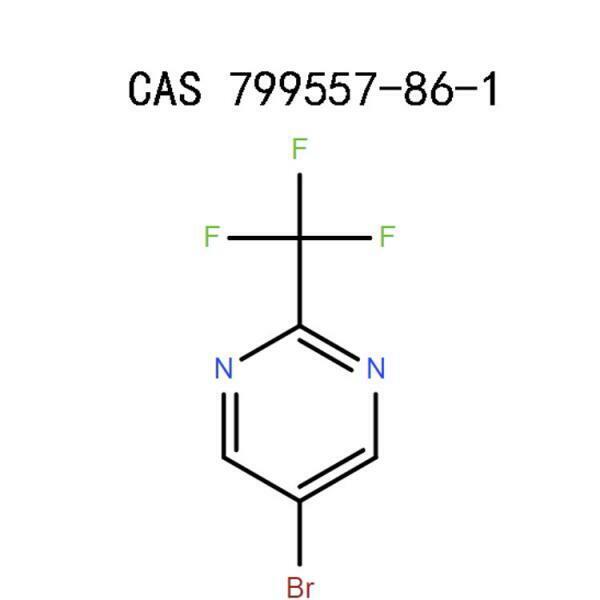 Dispose of 5-Bromo-2-(trifluoromethyl)pyrimidine(799557-86-1) as special waste. Use the services of a local company, which has been licensed to deal withhazardouschemical wastes. If you can access a chemical incinerator, safelyburn up5-Bromo-2-(trifluoromethyl)pyrimidineby mixing it with a flammable solvent. 5-Bromo-2-(trifluoromethyl)pyrimidine is safe for normal transportation via ground, air, or marine shipment. Only use 5-Bromo-2-(trifluoromethyl)pyrimidine in compliance with the relevant regulatory bodies. The product is intended for research per se and neither for diagnostic nor therapeutic use. At APICMO, our interest is on scientific research, scientific discovery of anti-cancer drugs, chemical synthesis, material and life sciences, chromatography, and analytical chemistry.Get in touch with us if you need help with the aforementioned fields. We deal in both large and small quantities of 5-Bromo-2-(trifluoromethyl)pyrimidine for our esteemed customers. If you are looking for the product in bulk, register an account with us and view the pricing.Unless you log in, you’ll only see the quotation as list price. Contact our customer care to place an order. National Centre For Biotechnology Information, US. National Library of Medicine, Pubchem, 5-Bromo-2-(trifluoromethyl)pyrimidine, Sections 1-9. John Wiley & Sons, 13 Jul 2015, Organic Syntheses: Collective, Volume 11, page 750-756. Mike Desing, Chemical Sources International, Incorporated, 1998, Chem Sources – U. S. A., page 1400-1440. Eric F.V. Scriven, Academic Press,Pyridines: From Lab to Production, 8 Jan 2013, page 56-57.